Mary Barra is one such woman who has broken all the stereo types related to the car industry and today is the chief executive officer (CEO) of one of the largest car manufacturers in the world, that is of course the international brand of General Motors in America. In this week’s tribute to Women we look at a male dominated industry where you would be lucky to see a handful of women in any very senior roles. This industry oozes masculinity and male testosterone it is of course the multibillion dollar car industry. General Motors employs in excess of 210,000 people in almost 400 facilities and does business in 120 countries on 6 continents, it is a massive conglomerate that deals in real time with 23 time zones and over 50 different language speaking countries. Ms Barra started life from relatively humble beginnings being born in December 1961, to a father who was a die cast maker for 39 years at Pontiac cars which is one of the subsidiary companies of General Motors. After leaving school she studied electrical engineering at General Motors Institute which once again was a very male dominated field of study. She obtained a Bachelor of Science degree with great marks and received a fellowship at the very prestigious Stanford Graduate School of Business in 1988. This degree gave her the confidence to go one step further and obtain a Masters in Business Administration in 1990 also from Stanford. Ms Barra returned to General Motors and worked in a variety of roles as she moved around the company learning all aspects of the industry. She was very hard working and took great interest in every aspect of the day to day running of this massive company. By 2008 she had risen to the position as Vice President of Global Manufacturing Engineering which was a very senior position indeed. Mary herself could not have envisaged in her wildest dreams what was to come next. In December 2013 Ms Barra was named as the replacement for outgoing CEO of General Motors Dan Akerson, this ruffled a few feathers to say the least as she was seen as to young to be given the position to run this huge company and also the fact that she was a woman and traditionally this was a male dominated world. 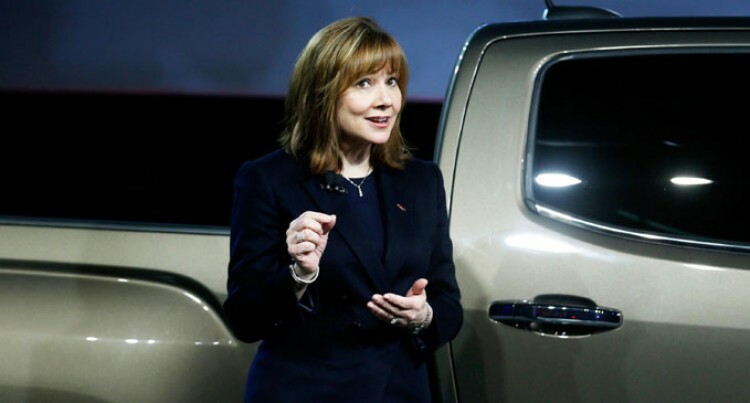 Regardless of the narrow thinking of some external forces she took over the reigns as CEO for General Motors in January 2014 and holds the position as of today. In 2014 she was named the 7th most powerful women in the world by the very much respected Forbes Magazine and it looks like her ranking will only increase as time goes by. Coming from a hard working family of Finish descent Ms Barra is also aware of having family time as well. She is married to husband Tony Barra whom she met while studying at Stanford Business School, he is an independent consultant working for a host of high profile clients. They have two children together and is a firm believer in the institution of marriage and having a stable home life which in turn will make your working life very productive. Ironically when asked about her favourite all time car Ms Barra just loves the Pontiac Firebird and has a personal relationship with Pontiac cars as this is where her father toiled and worked extremely hard for 39 years to be able to put food on the table and provide for his family. This 39 years of hard work that her father had sacrificed has not been to wasted as who could have ever imagined that his daughter would one day not only be the boss of Pontiac cars, but the whole group known as the American Icon General Motors.